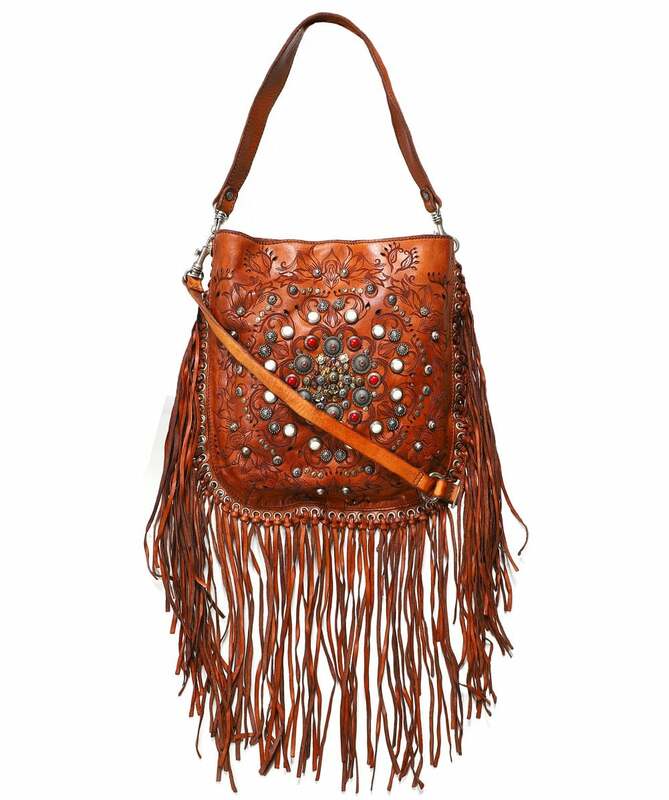 The Campomaggi fringe hobo bag is a truly beautiful and unique accessory, expertly handcrafted and dyed in Italy to ensure it is of the highest quality. Featuring a magnetic closure, two removable shoulder straps for versatility and an interior zip pocket to securely store your essentials, this gorgeous leather bag is a practical and stylish everyday option. 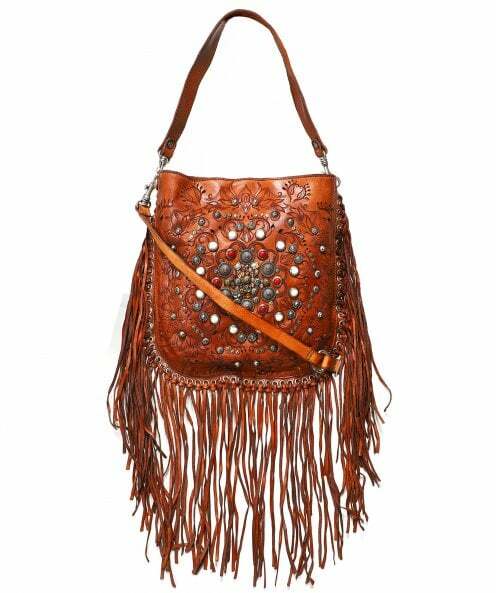 This western style bag boasts distinctive fringe detailing for a boho aesthetic, as well as laser cut engraving and stud and gemstone embellishment to the front.